Medium amber color. Complex aromas of vanilla-almond and dandelion, lime leaf, blackberry and currant, men’s cologne, and pottery with a glycerous, vibrant, dry-yet-fruity full body and a peppery, massive, endless butterscotch drenched cherries and cola, fresh new Orleans praline and resin, spearmint, baby’s breath and tobacco leaf, allspice, and clove and nutmeg-kissed pastry finish. A gentleman’s club of a dram dripping with mystery, richness, and a perfect balance of power and grace. 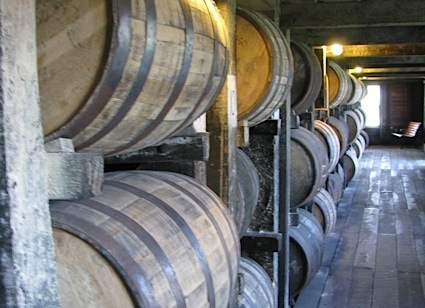 Bottom Line: A gentleman's club of a dram dripping with mystery, richness, and a perfect balance of power and grace. 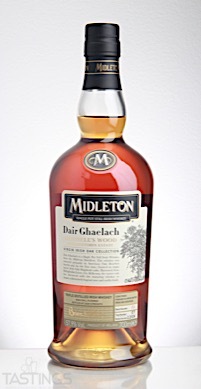 Midleton Dair Ghaelach Single Pot Still Irish Whiskey rating was calculated by tastings.com to be 97 points out of 100 on 8/18/2017. Please note that MSRP may have changed since the date of our review.